Guilin city is built around the rock formations, giving the city a unique landscape. What’s more romantic than floating down a river in a bamboo raft? Today, our guest writer Kristen Mankosa shows us how to travel the most scenic way from Guilin to Yangshuo: by bamboo raft along the Li River. There’s a saying in China: Guilin shan shui jia tian xia, meaning that Guilin has the most beautiful landscape under the heavens. Limestone mountains jut up from the ground and mist often hangs low, winding its way between the rocks and crevasses, resulting in a mystical landscape. 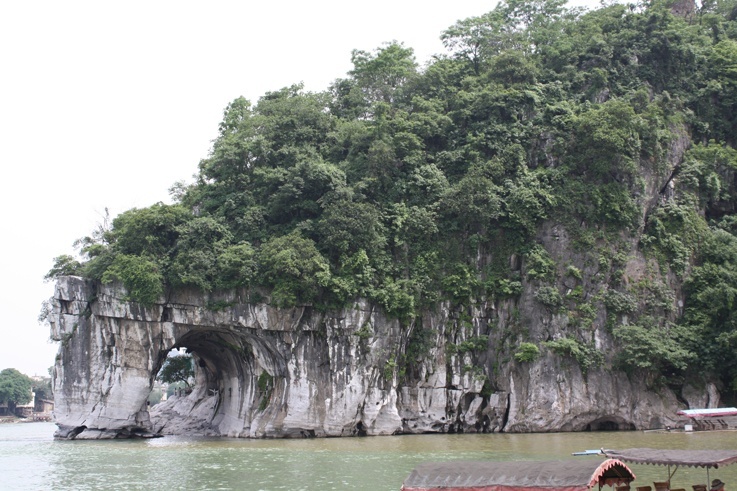 Elephant Trunk Hill – A famous rock formation within the city of Guilin. A small entrance fee lets visitors explore the area and climb through the hiking trails. The scenery is, indeed, breathtaking. There are several places throughout Guilin and along the Li River offer excellent spots for hiking for photo-op moments, but no view is better than the cruises down the Li River. The sights along this river are so popular that it’s even featured on China’s 20 Yuan bill—and a sharp eye can even spot the formation as it’s passed along the river. 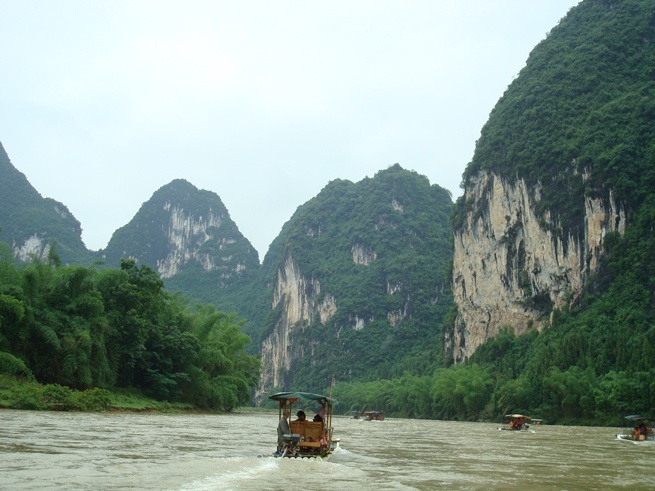 Depending on the type of tour you want to take, a cruise generally lasts anywhere from one to five hours and can be taken on small, river cruise boats or, for the more adventurous, on bamboo river rafts. The most famous route starts in Guilin and travels down to Yangshuo, a small town an hour and a half outside of Guilin’s city center. 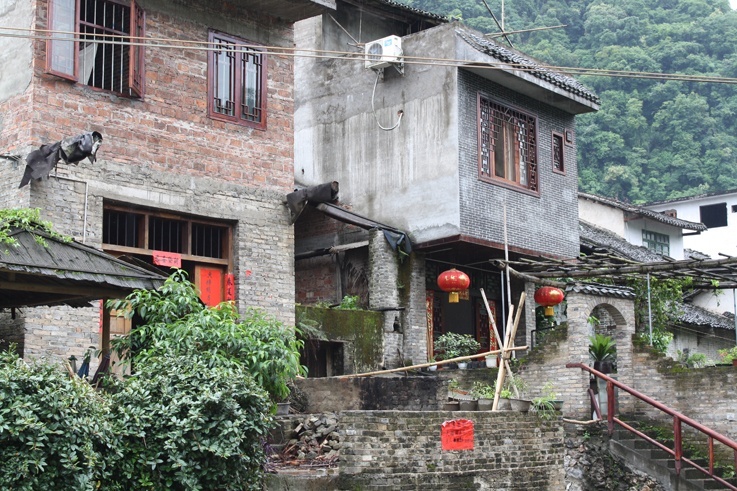 North of Yangshuo, Xingping, once a royal complex, is now home to villagers and tourists. This ancient town is worth exploring. 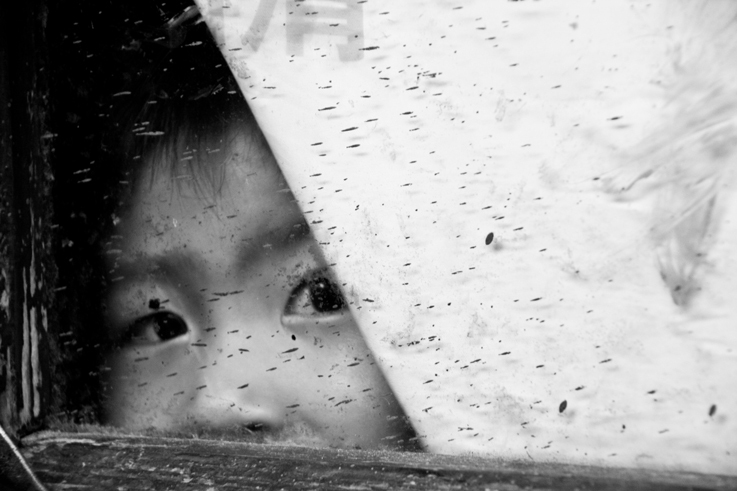 The weather and season can determine what sort of ride you want to take—rainy weather produces a swollen river that makes for a choppy boating experience and a potentially damp sailor. 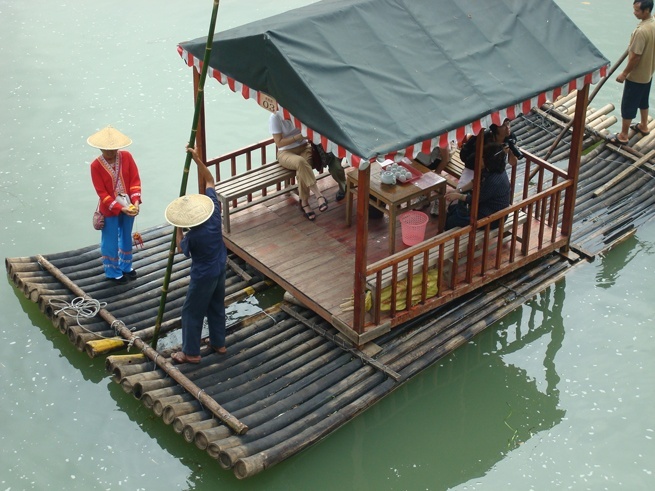 Bamboo rafts are fun and exciting, but as a passenger, you’re low to the water. Often times these boats are bamboo poles or large pieces of PVC pipes, expertly lashed together, with chairs or small benches tied to the top. For those weary of the water, a larger vessel might be the better choice. If you’re looking for just a taste of a bamboo ride and not a five hour tour, you can take a bus to one of the docks, located south of Guilin, and hop on a bamboo raft. From there, enjoy the scenery until you hit Xingping, a 500 year old castle complex-turned-village full of small shops and restaurants. A few hours exploring this area is plenty, so hop on a bus (or back on your raft!) and head down to Yangshuo. 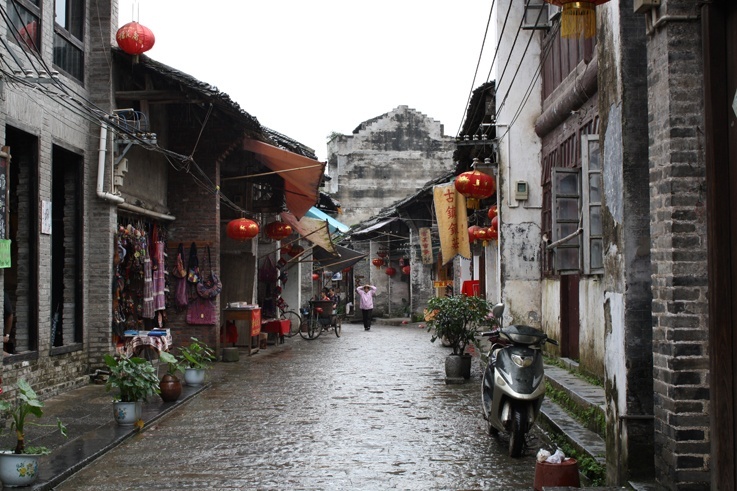 Yangshuo has been a tourist town since China opened to foreigners in the 80’s and often appeals to tourists. 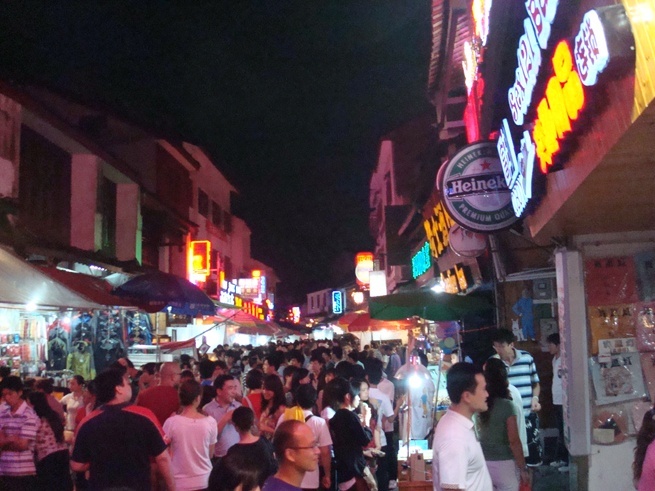 At night, the streets become crowded with shoppers, bar-goers, vendors, and tourists. The famous West Street is lined with western-style bars and restaurants. For a more local, or authentic, experience, head away from the flurry of activity and fan out into the smaller alleyways for delicious dumplings or noodles. 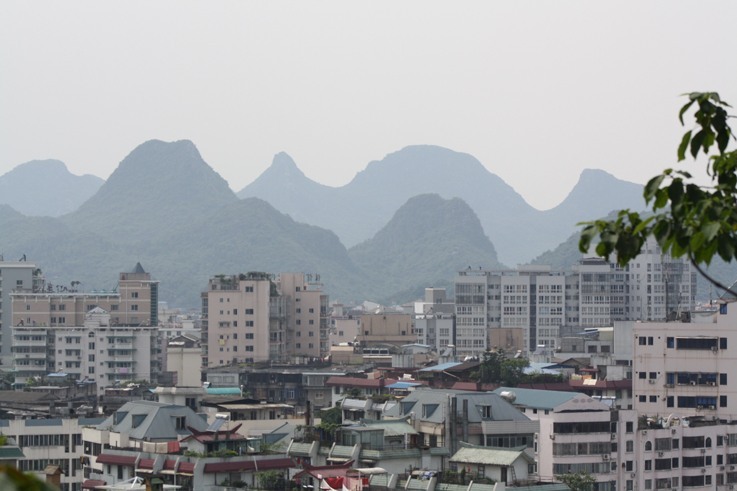 During the day, Yangshuo is a mecca for outdoor exploration—bike paths through the mountains, hiking trails, caverns, and more bamboo rafts make this town a great place for a weekend trip. Bikers ride along the Yulong River, pausing to look at the raft riders floating under the bridge. 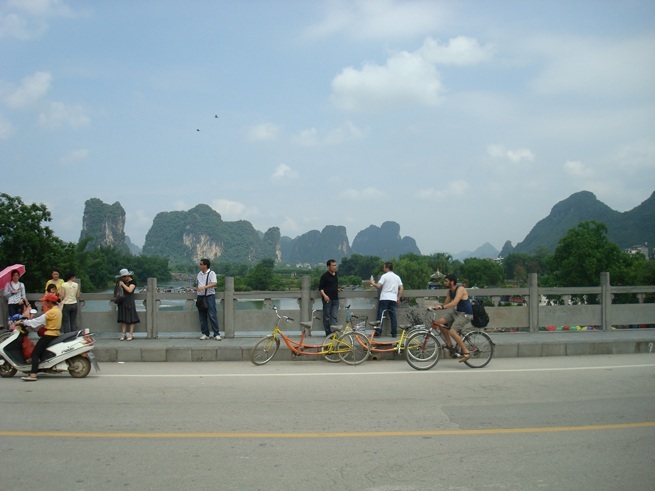 Bikes can be rented in Yangshuo for the day. If the Li River seems too daring, a short trip down the gentle Yulong River makes a good alternate. The valley between the limestone peaks creates a fairly flat path making for an easy, but long, bike ride. 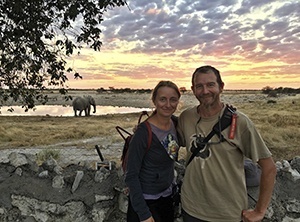 The mountains provide plenty of hiking trails and most hotels and hostels can provide maps with directions to the most popular routes, varying in difficulty. 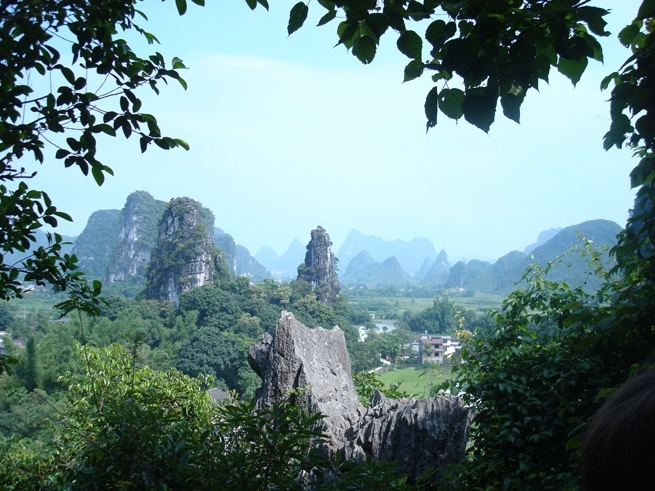 A view from the Butterfly Caverns near Yangshuo. The caverns supposedly earned this name from a rock formation that looks similar to a butterfly. If you’re visiting southern China, make sure to add Guilin and Yangshuo to your list, two places you don’t want to miss! 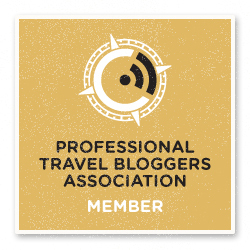 Kristen Mankosa is a budding travel writer & photographer with a mission to see the world. She’s currently living in the US, with plans to move to London to attend graduate school, and no plans to return anytime soon! Looks like a great place! I love the combo of water and those amazing rocks popping out almost from nowhere! Seriously awesome way to travel! 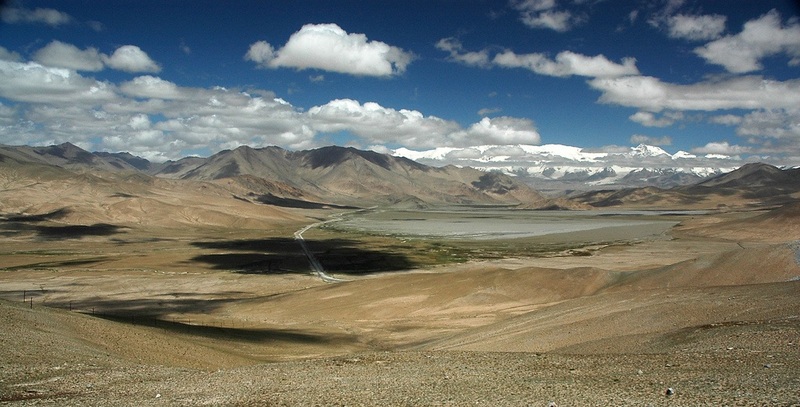 The landscape truly is amazing – I can see why they call it the most beautiful landscape under the heavens! Would love to get out there and have the opportunity to see it for myself! What a fun adventure!! Would love to take a ride on a bamboo raft- would absolutely choose that route! What an awesome experience. Elephant trunk hill also looks like a neat place to explore! WOW, it looks so charming, so real… so beautiful! This area does look really gorgeous! I would love to do some hiking around the mountains. The rafts look really great as well–I would love to take one down the river! Those first few photographs are stunning . . . I love such rugged nature like that. Can’t wait to see it for myself one day. Wow absolutely beautiful backcountry. I traveled through China a few months back but didn’t have the opportunity to tour through Guilin or Yangshou, only out West near Xining, Lhasa and down through Tibet. However it does remind me a lot of the jungles in Laos; did you get the opportunity to visit there while you were in Asia? What a great way to get out and explore some of the hidden rural landscapes of China! I can just imagine hopping on one of those bamboo rafts and taking in the majestic limestone scenery. I have never been to China but the more posts I read, the more tempted I am by this country. Thanks for sharing such a wonderful experience there. Thanks for stopping by Tiffany! This was a guest post from Kristen Mankosa (@ManRuiTian on twitter), I didn’t actually visit the area myself, but you’re right, it sounds amazing!